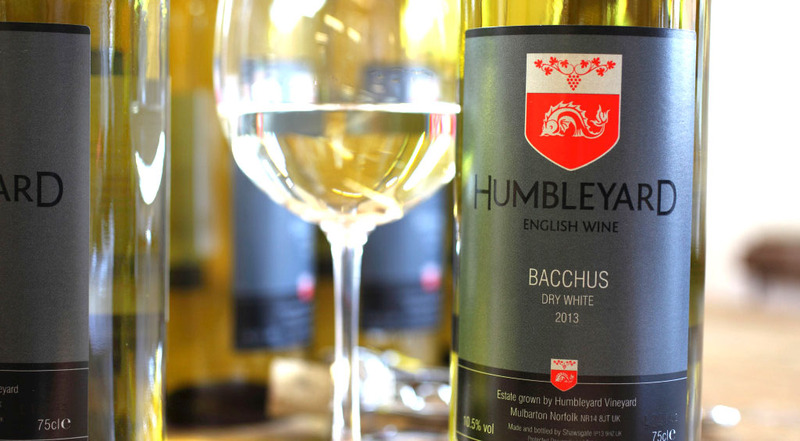 The name “Bacchus” means a lot to wine folk. First and foremost, Bacchus is the Roman god of wine and as such, he is the subject of a good deal of famous artwork produced from antiquity to modern times. Bacchus is also a grape variety of the vinifera species, a double-Riesling cross that thrives in cold climates, but doesn’t do nearly as well at retaining acidity as its parent(s). There’s also a Bacchus Wine Bar in Houston, a Krewe of Bacchus in New Orleans, and a European Research Initiative pertaining to clouds known as BACCHUS. But for today, let’s focus on the god and the grape. 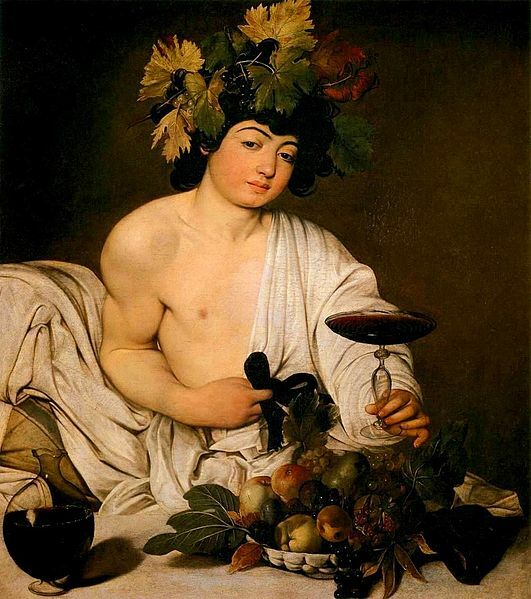 Bacchus (or, as he was known in Greek mythology, Dionysus) is known as the god of wine and viticulture, and is often credited with the “invention” of wine. He is also–understandably so–the god of drunkenness (or, as the Greeks referred to it, “ritual madness”) and fertility. In later mythology, he was seen as a great patron of the arts and the god of the theater. In the Greek myth, Dionysus is the son of Zeus (king of the gods) and Semele, a princess of Thebes. Thus, he is the only Greek god with a human parent. When Hera, the wife of Zeus, found out about her husband’s out-of-wedlock son Dionysus, she became enraged and ordered Dionysus to be killed. She succeeded, and the baby was murdered. Dionysus was next miraculously brought back to life, and Zeus conferred him with immortality. Zeus gave the baby to the mountain nymphs to be raised. In artwork, Dionysus is often depicted during this pampered stage of his life, as a fat, happy (and often naked) baby surrounded by wine, fruit, and luscious furnishings. Dionysus is one of the few characters in Greek mythology credited with both being brought back from the dead himself and bringing someone back from the dead (he once rescued Semele [his mother] from the underworld). It is said that this cycle of birth and death is reflected in the annual cycle of viticulture, where the vines go dormant each year and must be pruned back before spring in order to ensure a good crop the following harvest. Dionysus became one of the most important figures in the Greek and Roman mythology, but unlike the other gods, his followers did not always meet in temples dedicated to his worship. Instead, his followers held their worship services in the woods. In this way, Dionysus became “one” with his followers and during religious events his followers would become like gods themselves; first experiencing joy and ecstasy but often devolving into anger and rage. This represents not only “Greek god-like behavior” but also the dual nature of wine. The festival for Dionysus was held in the spring in order to coincide with bud break. This festival became one of the most important religious holidays in the Greek calendar, and many Greek plays were originally written to be performed at the festival of Dionysus (beginning the tie between Dionysus and theater). From its Greek beginnings, the cult of Bacchus became important to the Romans around 200 BCE. The Roman festival of Bacchus, the Bacchanalia, became well-known (and well documented) as a frenzied, sexual, scandalous, and extremely volatile rite that included both genders as well as people of all ages and social classes. Not surprisingly, the Roman Senate tried to shut down the cult of Bacchus. However, instead of being trampled, the cult of Bacchus merely moved “underground” and became a secret society. 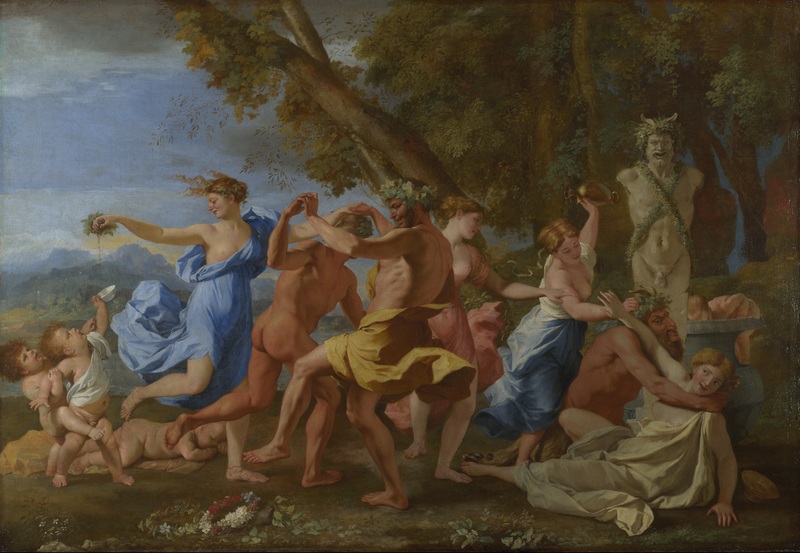 Decades later, the Senate approved a sanitized version of the worship of Bacchus and Bacchanalia became legal and outwardly popular once again. This adoration of Bacchus continues, in a way at least–even in modern times. 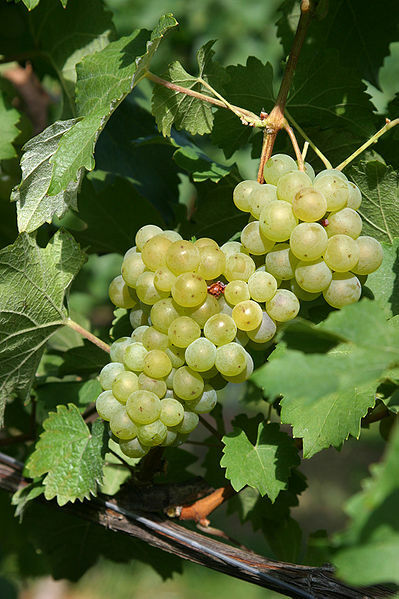 The Bacchus grape variety is a white vinifera cross created by German agronomist Peter Morio in 1933. Morio, working for the Geilwilerof Research Center (now the Julius Kühn Institut) located in Germany’s Pfalz region, also created the Domina, Optima, and Morio Muskat grape varieties. Bacchus is the offspring of an unnamed Silvaner X Riesling cross with Müller-Thurgau (a Riesling X Madeleine Royale cross). So we’ll say that Bacchus is a double-offspring of Riesling instead of saying that its parents were siblings (enough said). Like Riesling, Bacchus thrives in cold climates and can be quite expressive with fruity and floral aromas and flavors. That, however, is where the comparisons with Riesling should probably end, as Bacchus is not known for elegance–which Riesling exudes. Bacchus is also an early, high-sugar-ripener akin to Müller-Thurgau, and tends to be low acid. For these reasons, particularly in Germany, Bacchus is typically appreciated as a blending partner rather than a stand-alone variety. Bacchus is grown in small amounts throughout Germany, including plantings in Rheinhessen, Franken, Mosel, the Nahe and the Pfalz. The total acreage in Germany is about 5,000 acres (2,010 ha). Small plantings are also found in Switzerland, Canada, and Japan. Bacchus (the god) would be proud.